Rapid delivery poses new and more frequent security challenges, requiring an entirely different set of solutions. Chief among them is a move from waterfall-style testing methods to a more adaptive, continuous, DevOps-appropriate approach. development, the deltas between builds are much smaller, reducing the likelihood of catastrophic errors. Bugs are smaller and easier to fix — if caught in time. However, though rapid release cycles introduce smaller bugs, they produce them far more frequently, and bugs that evade detection can grow into serious problems. 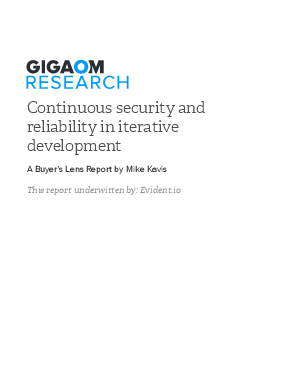 such as static scans can often take longer than the life of the build, and excessive human interaction can rob highly automated DevOps projects of the very agility they were designed to create. To deliver on its goals, IT must create protocols that model and address security concerns as code is deployed.